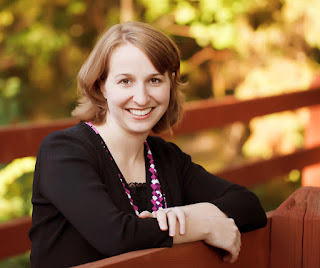 The Writers Alley: Writing A Novel Set In A Place You've Never Been to? Writing A Novel Set In A Place You've Never Been to? Guest Blogger: Naomi Rawlings & Give Away! Thanks, Angie, for inviting me back to the Writers Alley today, and thanks to you other Alley Cats for having me. 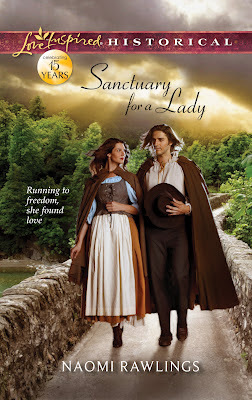 My debut novel, Sanctuary for a Lady released on April 1, 2012, and is set during the French Revolution. Most novelists and aspiring novelists know that unless you set a book in your hometown or state, you probably won’t be taking a trip to research your novel’s setting. That’s doubly true for me, the mother of two young boys and the wife of a pastor, who hasn’t the time nor the funds to take off to Europe on a research trip for a story that may or may not ever see publication. 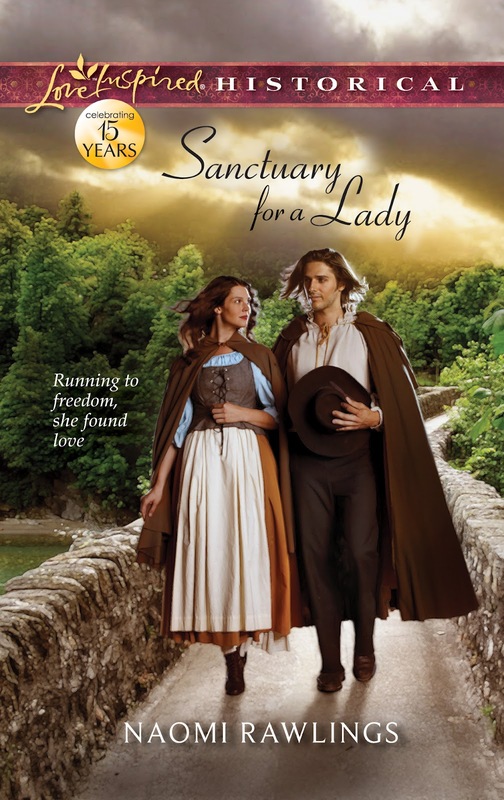 In the case of Sanctuary for a Lady, the novel did get published. But I had no idea that would be the result when I started writing the book in the summer of 2010. So then the question arises, how can you accurately portray a country or time or place you’ve never visited? Well, you’ve really only one option: Research. I cringe as I type the word “research,” because research is and probably always will be my least favorite part of writing. But here’s a few pointers, per Angie’s request. 1. Study the mindset of the time and place you’re writing about. Studying mindset, on the other hand, allows you to know how your characters think, which in turn leads to deeper and more realistic characters. If you can make your characters think like a Kansas farmer from the 1880s or a Wisconsin logger from the 1890s or a ship captain from the 1810s, your characters will come alive. They will have their own opinions and views of things relevant to their lives. You will be able to naturally incorporate details and events from the time period without digressing into long paragraphs of explanation and boring your readers. There are two ways to study mindset. One is to dive into original sources, which is the most accurate and best way to get a feel for a time period. Journals, diaries, classics written during the time period in which your novel’s set, can all help. Google Books is a great source for this. You can used the “advanced search” feature to find books published between certain years, limiting your search to things published around the time your novel is set. The second way to study mindset is by using a broad overview approach. Find current research and sources that give you an overview of the era your studying. For example, I might have two or three books on the French Revolution. Even though I only needed to know about early 1794 for Sanctuary for a Lady, understanding the events that led up to 1794 France was crucial. Then maybe I would have a book on peasant clothing during that period. And a book about French Revolutionary soldiers, and a book about local governments of the French Revolution, and maybe even a book about the Reign of Terror. As I glance through this stack of books, I’ll look for individual examples and scenarios that will help explain how the people living in that time period would have thought, and provide glimpses into everyday life. This is the method I tend to favor, and it’s actually the weaker of the two. But given my hatred for research, I count myself lucky to endure even this much studying. I actually think writers’ research methods go back to the type of learners they are. I’m a global learner. I need to have a broad picture and be able to see the end of the road before I start my journey. So I find current research books, even research books with just a chapter or two overview on my time period very helpful. Then I’ll dive into a few original sources simply to ease my conscience. 2. Have your setting affect your characters. For Sanctuary for a Lady, instead of going into long, boring details about how the revolution was affecting France, I created characters that represented different factions of the revolution. My heroine, Isabelle de La Rouchecauld, is a royalist. My hero, Michel Belanger, is a federalist (the side I would have chosen, had I lived through the French Revolution). And my villain is a radical. By using characters with opposing mindsets, these personalities clashed naturally as the book unfolded (which also provided an extra source of tension). Plus I was able to give readers a good flavor of the French Revolution. So my setting and the mindsets from that era actively affected both who the characters were and their interactions with each other. For further study, Donald Maass has a really great section on this in his book, Writing the Breakout Novel. He uses an example of an author doing this with the Civil War and creating a cast of characters on both sides of that conflict. 3. Focus on the aspects of setting that affect conflict and your story line. One way I did this in Sanctuary for a Lady, was with wood. You’ll find specific woods mentioned. Not the kind that describe the forest, but specific woods used for FURNITURE MAKING. You see, my hero wants to be a furniture maker and is always working on one project or another. This furniture making is a source of conflict, because at the beginning of the French Revolution, local and national governments used guilds to regulate how many people could work a particular trade. So my hero, though he’s an excellent furniture maker, isn’t allowed to actually sell anything he makes. And tada! There you have the setting affecting the conflict in an active, non-boring way. Furthermore, when my hero and heroine fight and get mad at each other, guess where my hero goes to work off his steam? That’s right, his workshop. So now I’ve got the romantic thread in my story also affecting the setting and vice versa. If you have any further questions, I’d love for you to ask them. I should be around for most of the day, and I’ll try to answer you as best as I can. Would you like a free copy of Sanctuary for a Lady? Let us know in the comments section and we'll enter you in the drawing! While I'm not even close to tackling a book yet, this information is golden. I've often wondered how I could possibly write about a place I'd never seen. The book looks wonderful and I would love to be the lucky winner! Thanks so much for a great lesson. God Bless. I loved your third point! It would be easy to research like crazy and then through in history and setting details just for the sake of throwing them in... :) But when they actually affect the conflict and storyline, they have purpose and they won't pull us out of the story. Love it - thanks for all the good tips! Naomi did a fabulous job with her pointers! I am so excited to keep these in mind as I tend to write settings I haven't been to before. Nancy, you will be entered for the drawing. It is a wonderful story!! Woah! This was brilliant and I am bookmarking it for further "research". I love the idea of using different parts of setting/background/history as a point of reference or to further conflict. What an "aha" moment! I love this post, Naomi! I especially love your third point, using setting to build conflict. I'm just understanding how to use Google Earth (I know, sad) and can tell this is a reference I will use lots as I will not be able to go to my setting in the near future. Thanks for stopping by today and sharing your wealth of expertise. Can you share tips for those of us who love to research and struggle when to stop? I'd love to be entered in the drawing for your book. I'd love to be entered in the drawing! This is a great post! I don't love research that much, but one thing I don't mind is researching settings. Naomi, I love that your hero wants to be a furniture maker! I just finished this book yesterday, so I can personally attest that you did a great job with your research. I felt I might have visited France within those few hours! I loved what you said about giving characters an essence of the revolution. That made it so much more real and alive and active to the story instead of clumps of history. Smart thinking! Wow! I stopped by here early this morning, saw no comments had been left, and then went on my merry little way, completely forgetting to stop back by. So sorry everyone! Well, it looks as though my third point is rather popular. Good. :-) Keep in mind that conflict and rich characters will always pull into your novel. Anytime you can merge setting (or any other aspect of a novel) with characters and/or conflict, do so! It will make your setting flow naturally into your novel. Hey Mary, you asked a really great question about knowing when to stop researching. Unfortunately, I'm a very bad person to give you an answer. Research is nearly as painful as getting a tooth pulled for me. BUT . . . I would advise you to prioritize your research. Perhaps make a list (I keep a rather haphazard list of things I need to research). Then I'd research the biggest or most essential things to the novel, leaving the small details for later. When you find yourself researching little details you may or may not use, STOP. Pull back. And ask yourself if it's the best use of your time. I think an even bigger struggle for research lovers is incorporating that research into the novel in an interesting way. If you've done a ton of research, you'll have a lot of random facts you feel are necessary to your novel. They probably aren't nearly as necessary as you think. Make sure you tie those facts into either your characters or (better yet) your conflict, so that you don't end up boring your readers. Rachel, as I'm starting a novel with portions of it set near Calais, France, I can tell you that the English Channel is very narrow at points. So narrow you can see England from France and vice versa. Good luck with that research! I have very little patience for that kind of research and usually just ask some of my writer friends for estimates, then use that as a spring board. I'm not any good at using Google Earth either. I actually prefer those old fashioned maps. But I do love that you can google some thing like "distance between Calais France and Abbeville France and come up with an answer in a couple seconds. How did writers research before the internet???? Mary, Just to add to Naomi's answer for your question...I do the initial research and then start writing when I have the itch...I love to research but I try not to do it all at once because I am afraid it will cut into my writing time. As I write, I slip over to the internet to research the particular thing I come to in my wip...say I want to describe the period dress my character is wearing...so I guess I research as I go once I have done the over all research of the setting, mindset, and affects to major plot points. Does that make sense? This way you can drag out research through the whole writing process if you like it enough! HA!! I love research too. A lot. But found that actually only about ten percent of what I learned for my gladiator novel translated into the plot, setting and characters. I think readers know the difference when an author hasn't really done their homework and the reverse when they're trying not to "waste" all that research by including it and the novel becomes a history lesson with a side of story. I'd love to know your ratio on information gleaned during research to inclusion in Sanctuary for a Lady and what your most helpful resource was. Oh yes, Nancy, I'd say that all writers will end up researching and learning things that aren't incoporated into their novels. But as far as my research to novel ratio, I'm sure it's much higher than 10%. I'd say probably 30-40% of my research makes into my novels in one form or another. Some of it depends on how specifically I'm doing research as well. The general research I do at the beginning of a novel might not be of as much use and the more specific research I do as I'm writing. Also, I like to simply read my research books, not sit down with a notepad and take arduous notes. That seems to help me get the general context of the period I'm studying. And a book called The Days of the French Revolution was my most valuable resource. It explained the French Rev well, without being too detailed. It's written for high schools, and I found it to be perfect. Mary, That is a great question and one I struggle with, too. I'm a library nut and want to read everything I can get my hands on...I think its part of why I haven't touched historical. Right now I'm doing my research for my second WIP on the side while I'm revising my first WIP. and certainly would love this book! Sorry I'm late to the party, Naomi. I love the way you set up your novel to display the various mindsets of the time. Very cool and smart!